Sayulita Life has the best prices for ALL Sayulita vacation rentals. Compare for yourself and see. Our prices are the lowest because there are no mark-ups or fees to either renters or owners. Plus, you are in direct email/phone contact with the owner. No gimmicks here! You can talk, chat, email with a real live person here in Sayulita. We care! BEST PRICES:Owners pay no booking fees on SayulitaLife.com so final price is ALWAYS CHEAPER than other websites. NO FEES:We never charge an extra fee when booking a home via Sayulita Life. ZERO SCAMS:As a local Sayulita-based company we personally know our advertisers. SUPPORT LOCAL:Sayulitalife.com is a huge supporter of local community and organizations. WE REALLY CARE:Our kids go to school here. Our friends Vacation here. It's our home. We love it here and so will you! I have been following the ketogenic lifestyle these days for all of my meals, and one of the things I have missed the most is French Fries. I discovered that jicama, available in almost every tienda here in Sayulita, makes the most delicious French Fries! Thus, I am no longer having cravings for a good batch of crispy fries. 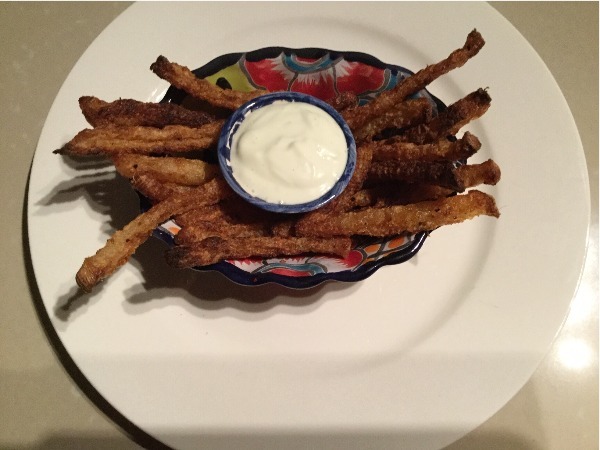 These jicama fries are really simple to make; I highly recommend that you try them. Serve them with mayo on the side for a tasty dip. Let me know how you like them! -Preheat your oven to 400 degrees, and line a baking sheet with parchment paper. 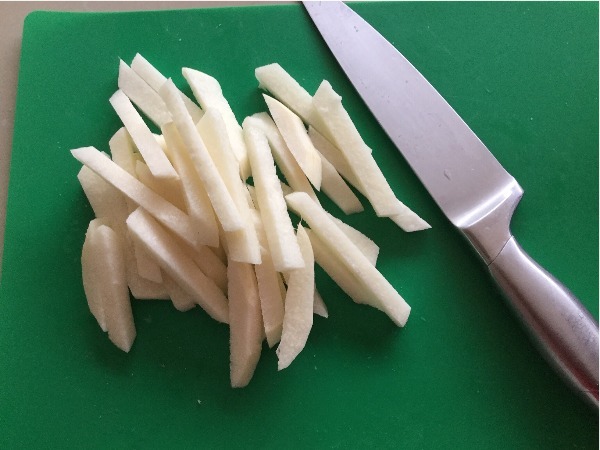 -Peel jicama, and then slice into “French Fries” or similar type of pieces- not too thick because you want them to be crispy. 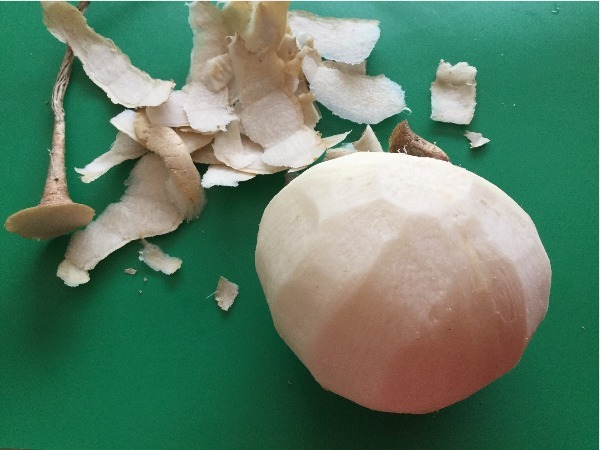 -Place peeled and sliced jicama into a pot with water, and boil on stove for 15 minutes. -Remove from heat, and drain in a colander. -Pat dry, and then coat well in olive oil and seasonings listed above. 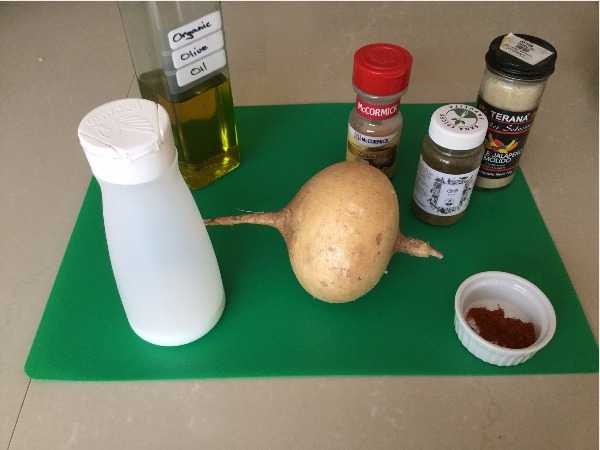 -Lay the coated jicama pieces out individually on prepared baking sheet. Leave a bit of room separating them; if they are all touching they will steam rather than crisp. -Let sit for 2-3 minutes, and then serve with mayonnaise as a dip. YUMMY! Honestly, I can’t believe how great these are. My French Fry longing is long gone! I am thinking that my next column will be Mexican Chorizo Meatball Tortas. They sound so delicious. I will make them this weekend and if I love them, I will share the recipe with you soon! I am available for catering/baking appetizers and fancy desserts. Please go to my Sayulita Life Web Page for orders, questions, or comments.